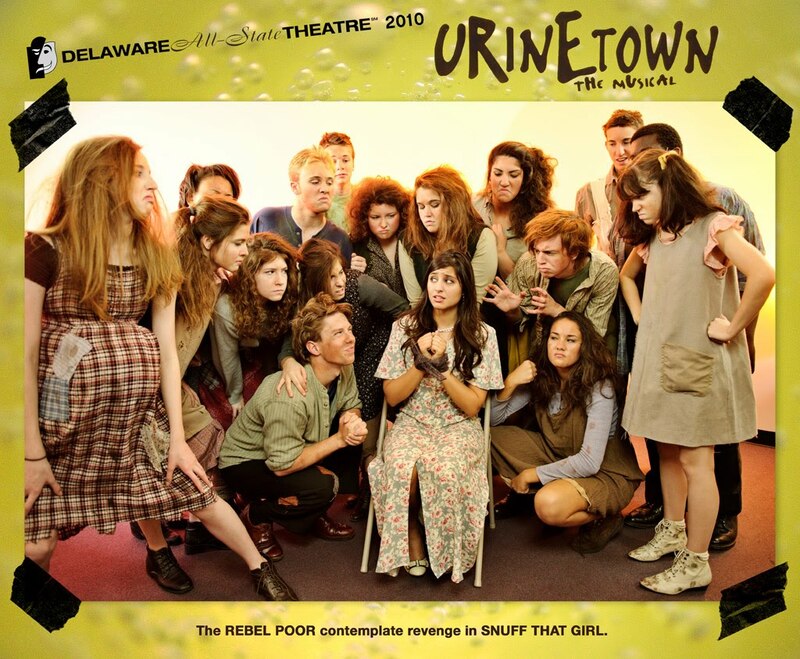 At times, it was easy to forget Urinetown was cast only with student actors. The singing, acting and dancing was so spot-on, and so professional in most cases. The only indication of the cast’s youth was the occasional actor looking startling with white hair, or those who hadn’t quite grown into their adult voices and bodies. The audience and the actors seemed to love this production by the Delaware All-State Theatre at the DuPont Theatre. Producer/Director Jeffrey Santoro choreographed many snappy numbers, making excellent use of the space on the simple set. “Mr. Cladwell” is a song reminiscent of “I think I’m gonna like it here” from Annie. Hope Cladwell (sung beautifully by Natasha Michael), Cladwell B. Cladwell’s daughter, meets her new co-workers-her father’s lackeys-and they give her the seal of approval in a rousing, fun chorus. Later in the musical, Annie is fair game again, when several characters remind us “The sun will come out tomorrow”. The musical’s creators, Mark Hollmann and Greg Kotis, are shameless musical quote from Andrew Lloyd Webber’s Evita. Not only do we get an “in-your-face” sometimes groan-worthy mocking and quoting of Broadway musicals, we get a constant breakdown of the fourth wall. Lockstock, who was expertly played by Jordan Weagraff, is the most successful at handling these sarcastic, knowing quips about the show and its merits that he tosses out to the audience. After a while, the show’s self-commentary becomes tiresome and glib. Jake Glassman was charming and sincere as Bobby Strong. He manages to step out of the stock character cartoony role, and make the flash back scene, “Tell Her I Love Her” extremely funny as he appears a ghost in the mist. Another stand out was the pregnant Little Becky Two-Shoes, played by Lydia Stinson. One of the strongest actors in the show, she was lively, animated and always involved in the action on stage. Mike Hinkle was energetic and convincing as the slimy Cladwell. As Penelope Pennywise, Maren Lavelle had good command of the stage and a natural sense of comic timing. Though Urinetown was intended to be an edgy, political satire, I found myself wondering exactly what the commentary was. I understood that big business and corruption are bad, and make people do bad things. The show’s theme simplified: everyone should have access to a toilet when nature calls. Maybe I am old-fashioned, but I also found myself thinking there are other musicals that carry a stronger message and are more deserving of the spotlight. Making beautiful music requires two contradictory talents: the ability to play by the rules and the ability to break them. Only through years of practice can a classical musician acquire the technical skills that allows him or her to read the lines and also between them. Friday’s Delaware Chamber Music Festival concert opened with a refreshing view of how to create a line of best fit between the tightly woven classical writing of composers Felix Mendelssohn and Maurice Ravel to see the jazz, folk and rock influences that permeate good music. After all, what is good music but a display of willful disregard for the rules while communicating within the limits of the composers design? Barbara Govatos invited three fellow musicians who can deviate and conform: Julie Nishimura, John B. Hedges, and Douglas Mapp. Julie Nishimura, a tiny powerhouse in classical music, had no problem letting her quirky side rule while playing the piano for Four on the floor for violin, cello, bass and piano by Libby Larsen. She leaned left and right, feet swinging on the pedals and she put her whole body into the “slam-‘em-home” walking bass which provided the platform for the other musicians: Barbara on violin, Douglas Mapp on bass and Clancy Newman on the cello. Clancy Newman played his own composition called Song without words for solo cello in which he played wild rock themes, jazz and blues while using his refined cello technique to touch the gentlest harmonics and also to jab the bow so hard it made an almost drum-like clicking. A respite was given with David Bromberg’s acoustic guitar accompaniments of Barbara Govatos’ surprisingly good Irish fiddle performances of two ballads: Ashokan Farewell and Amazing Grace. Every now and then she betrayed her training by pulling off a perfect classical trill just after a country shindig slide up to a melody note. Although I loved John B Hedges piano improvisation when he played his own version of “22-20”, playing soft enough to let us hear David Bromberg’s vocals and guitar, I did not enjoy the Devilwhere for violin, electric guitar and contrabass which he wrote to commemorate the 25th anniversary of the Delaware Chamber Music Festival. 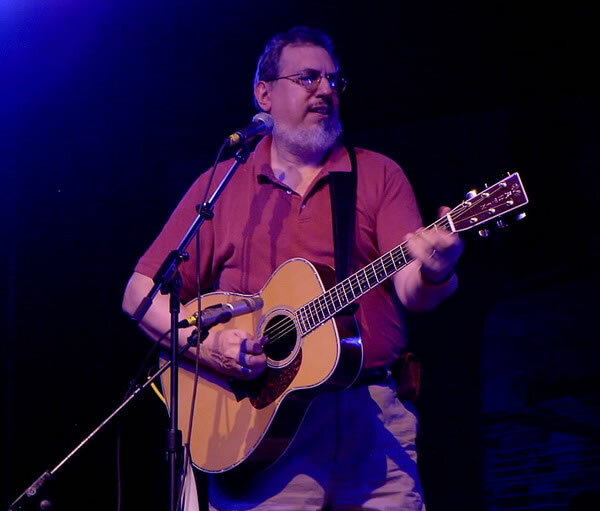 It was so complex that it took Jim Tisdall to handle the electrified acoustic guitar part. Doug Mapp put his all into the wild bass string-snapping, but the overall effect was more bumpy than fun. The crew of Nishimura, Govatos, and Newman finished the evening with the fastest rendition of Felix Mendelssohn’s Trio in c minor, opus 66 I have ever heard. Their point seemed to be that even within the strictures of the romantic era style, there is verve and jazz. The message worked much more successfully in the second movement of the Sonata for piano and violin by Maurice Ravel. For this piece, Nishimura was able to zing the syncopated notes just on the edge of the margins left by Ravel and Govatos had no problem moving with that. I feel sure Ravel would have given this piece a standing ovation – two irreverent American musicians using their skilled sophistication to bring a message of wonder about how all styles of music have coinciding arcs. For the third year in a row, Delaware All-State Theatre is producing, in partnership with the DuPont Theatre, a full-scale musical theater show starring some of the area’s most talented and ambitions children. 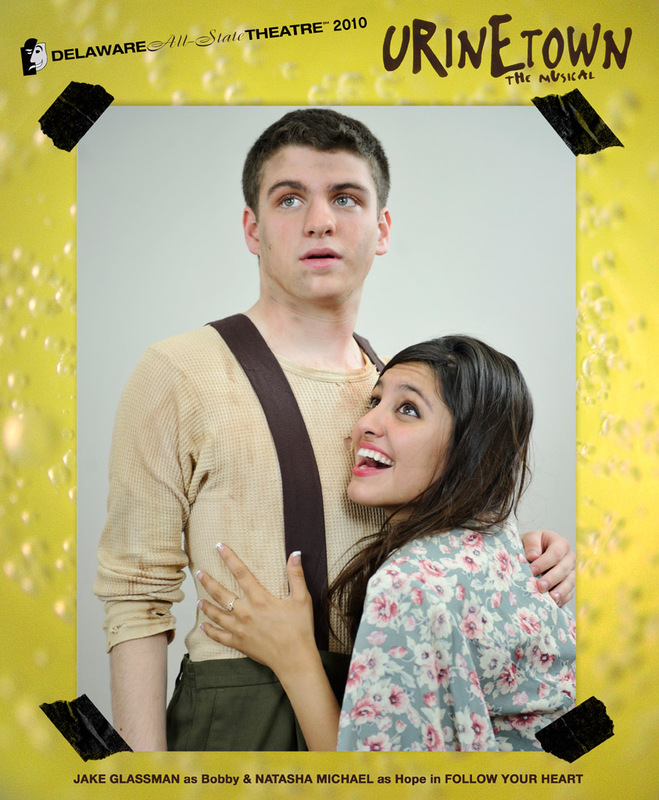 Urinetown, with a cast of 46, opens today, June 18, with performances Saturday and Sunday. Talking with director/producer Jeffrey Santoro, I learned about the rigorous audition process for the young actors. Hundreds of kids showed up for the audition, with first round held behind closed doors, but the callbacks were held in the open theater. Santoro wanted to create an audition atmosphere similar to what is found in the professional theater: the actors could see their competition, and bring their auditions to the highest level possible. Some of the kids from past productions-Les Misérables and West Side Story- have gone on to professional theater. He estimated that eighty percent of the actors go on to participate in theater at the collegiate level. The program is completely free, unlike some other children’s musical and theatrical programs in the area. The actors participate in workshops with well-known theatre professionals and have the unique experience of rehearsing and performing on stage with a professional orchestra at the state-of-the-art DuPont Theater. Let’s support our young actors and future stars by checking out this great show! For tickets, visit http://www.duponttheatre.com/ or call (302) 656-4401. Lauren is the summer intern for Arts in Media & City Theater Company. She will be a senior at UD this fall. I enjoy art, however I think there is a difference between appreciating art and understanding it. Art enthusiasts, Dorothy and Herbert Vogel did both. 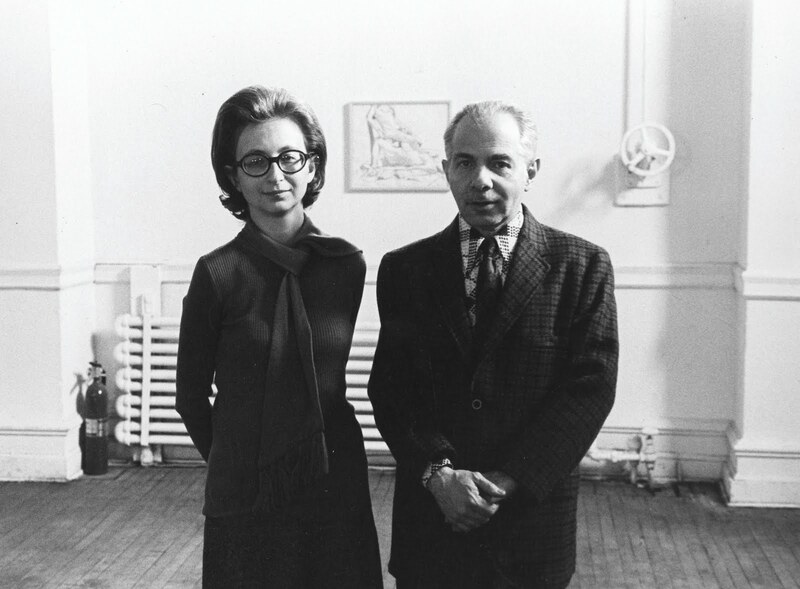 The couple was married in 1962 and purchased their first work of art together in 1963. As Dorothy worked at the Brooklyn Public Library, Herbert was employed at the Post Office. They spent one salary on their living and the other on their art. The Delaware Art Museum is opening the Dorothy and Herbert Vogel Collection: 50 Works for the First State on June 19, 2010. It will be on view until August 29, 2010. This inspiring couple studied art and art history in school and naturally, became art collectors. Over the years they have collected over 4,000 works! Apparently they house their art in their one bedroom apartment wherever they can. (There’s actually a documentary about them Herb and Dorothy that tells their awesome story!) They teamed up with the National Gallery of Art with the support of the National Endowment for the Arts and the Institute of Museum of Library Services to launch Fifty Works for Fifty States. The Delaware Art Museum received the Vogel Collection and is very honored by the gift. 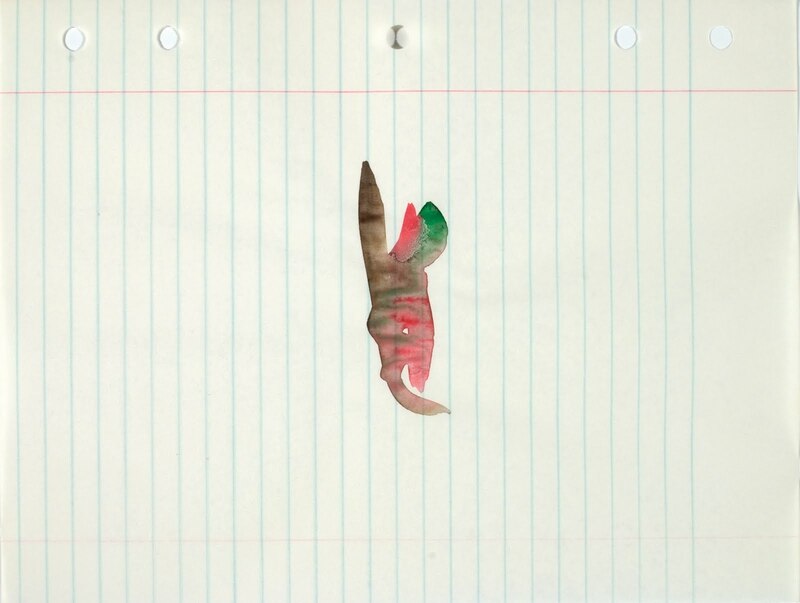 The Collection focuses on contemporary art and it received drawings, paintings, sculptures and collages by 23 artists. As I walked through the Collection that was expertly introduced and explicated by Margaret Winslow a few pieces of art stood out. There was a piece of cardboard with a large red geometric shape by Judy Rifka. I thought it was awesome that the artist used a piece of cardboard as a canvas. The bright red geometric shape really popped out from the cardboard. The words “abstract expressionism”, “minimalism”, “post minimalism” were used in the explanations of these pieces. Even if I don’t exactly understand what all of these art eras depicted, I know that they were very important. I am a fan of Andy Warhol and his pop art. Stating that, I thought that the “new imagery” of the 1970s was pretty cool. Most of the artists and pieces that were in that section of the collection used everyday symbols in paintings and left the viewer to interpret the painting. There was one painting that was very odd. I liked it; it looked so interesting, and if you were looking correctly you can see a distorted candle. This artist used a special technique that was very cool looking. I also really liked a piece by Robert Barry. If you took a quick glimpse at the work of art you couldn’t tell what was so special about it. However, if you got closer, you see a hand drawn rectangle and words along side of the lines. Barry rarely used nouns, he let the viewer engage and interpret the words. I thought it was fun to try and think about why he placed the words where he did. A set of words on one line were “quiet”, “private”, “lasting”, “ask”, “toward”, “guess”, “evaluate”, “torment” and more. This work of art may have been my favorite. I can’t paint, draw or quite frankly even cut a piece of paper in the right direction, but I really appreciate and value art. I think I have that in common with the Vogels. I love that this Collection brings artists to the surface that might have been overlooked in their prime. It’s a great support outlet for Contemporary Art. The Vogels gave thought to all of the collections for each individual institution. I’m sure the Delaware Art Museum knows how lucky they are and is very proud to have the Collection. 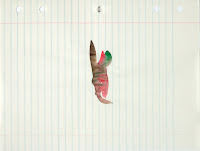 Artist, Richard Tuttle, gave the Vogels drawings from his loose-leaf notebook. Watercolors on loose-leaf notebook paper as daily exercises...maybe I should give it a try. You can check out The Dorothy and Herbert Vogel Collection: Fifty Works for the First State starting on June 19 at the Delaware Art Museum. There’s also a special event: An artist panel, An Afternoon with the Vogels, on Saturday, 6/19 @ 11a.m.-2p.m., free with paid admission. The Wilmington Art Loop means something different to so many people. For some, it’s an opportunity to have a different crowd come through their bar or restaurant. For others it’s a chance to exhibit new work, or even exhibiting for first time. For many, it’s a social event or a networking extravaganza. I took the downtown loop bus, with the fabulous Shawn at the helm. He always makes sure it’s a fun time, even though he sometimes has to play the part of Shepherd, corralling stray art-lovers back onto his bus. As usual, I met some fascinating people on the ride — a photographer, a board director of a new local dance troupe, a mathematician, and a retiree. Colourworks is a photographic and digital imaging lab on Superfine Lane. A converted sugar mill, the exposed brick interior made a rustic backdrop for Heather Siple’s fish-eye lens photography. The magical windows she created each held their own worlds. She told me a friend had showed her how to mount the fish-eye lens onto her zoom lens, but then she discovered interesting effects when mounting it directly onto the camera. Siple loved the shadows and round “frames” this created. In her photo “Golden Mushrooms” she experimented with expired film, and got a very rich, earthy result. 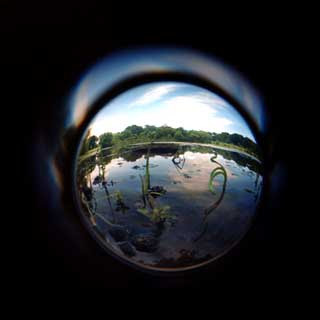 Her book, Through the Crystal Ball, a collection of her fish-eye lens photos, was available. I was especially moved by Danielle Hamilton’s paintings and mosaics. Mounted in the Wilmington Library, the work of this self-taught artist is full of themes of nature, Africa and womanhood. Hamilton told me she dreams of Africa, but knows she will never visit. Her mosaic/painting “Jewels of Africa” is filled with stones, beads and rubber netting. When I asked her how she knows when a work is done, she told me the work lets her know when to stop. A friend of hers, who works at the library, suggested she submit her art for the loop exhibit. I am so glad she did! Welcome to the Loop, Danielle! It was Jean Scalessa who really started the Gala Concert eight years ago – and it has become a more professional and polished concert each year. But how can we appreciate those who have the courage to start a concert series and who accept the risk that a new series might fail? And after the grueling work of convincing everyone to join in, they then hand it over to the lucky successor who has a ready-made tradition. The first performers on the Gala Concert this year were the Wilmington Children’s Chorus, another group founded by a pioneer. David Christopher founded a chorus for kids living in the Wilmington area hoping to mix kids from city and suburbs and create a free, quality choral program. Kimberly Doucette, an active participant from the start of the project and current artistic director, prepared the kids well, showing how she has truly created an atmosphere of discipline administered with a smile. The kids came on quietly, sang well, watched the conductor, had the lyrics down pat (and they sang in Italian). Afterwards I complimented one of the singers who responded with a warm and sincere ‘thank you’ – no teenage squirming or dodging, which shows the program will give them music and mature poise. Joe Soprani played an outstanding arrangement he created for accordion of Carnival of Venice. The accompaniment on piano by Jordan Irazabal was a great foundation for the piece. The program also included excerpts from operas, and I was impressed with the round bass voice of Martin Hargrove in Verdi’s Te Lodiamo. I enjoyed the traditional Italian numbers like Va pensiero from Verdi’s Nabucco, which I like to sing with the chorus and I was delighted that Dr. Brian Stone brought more discipline to the conducting than I had seen in the past. The chamber orchestra also had a great sound for Preghiera from Cavalleria Rusticana by Mascagni – again rounded out by piano. Would that there had been more orchestral accompaniments than piano reductions! Piano reductions are great, but why use them when you have a full chamber orchestra for the afternoon? If they use the chamber orchestra for all of the solos next year, the concert will have developed in a way that would make Jean Scalessa proud. Jennifer is the Executive Director of VSA Arts of Delaware and an advocate for appropriate and fulfilling access to the Arts for all. Artwork by Ryan Griffin, age 5. Once referred to by a funder as “a well-kept secret that everyone should know about”, VSA Delaware (VSADE) is a statewide organization that promotes expression through the Arts, with particular focus on opportunities for individuals with disabilities. The evening of Friday, June 4, delivered an experience in “our world of Art”, with an exceptional exhibit: the Celebration of Creativity (COC) 2010 Friends Reception at the Arts Center/Gallery at Delaware State University. The exhibit is a collection of more than 65 works by artists with disabilities who have participated in VSADE Artist-in-Residency programs. For participants, the program provided the chance for their work to be professionally recognized. In addition, the reception provided a musical performance by the Delaware Young Soloist awardee, Jeffrey Wu. Jeffery, a 15-year-old student at the Brennan School in Newark, noted that creative and artistic accomplishments are possible when opportunity is provided. The COC 2010 exhibit will continue through Wednesday, June 30, at the Arts Center/Gallery; in September, it will travel to additional exhibition sites throughout the state. Perhaps I am a bit partial, but I believe VSADE is one of those organizations that should never be a “well-kept secret”! We at VSADE hope that everyone will acknowledge the Arts as a powerful education tool for everyone, regardless of ability or disability! P.S. : As I write this, I have just returned from the opening ceremonies of the VSA International Festival at the Kennedy Center in Washington DC (www.vsarts.org). I was enthralled by the conceptual dance of artist Bill Shannon, the amazing vocals of Prudence Mabhena and the delightful talent of Patti LaBelle. It was a great night for the arts and disability. Since he was one of the first artists to join our readers when we started the blog last year, I hastened to Urban Avenue at 221 Market to see Life of a Hip Hop Photographer: Andre’ Wright. Wright was greeting all comers, young and old, who walked in to the clothing shop where he had his exhibit and portfolios. Wright is young and has already been working as a photographer for magazines like Corner Store, YRB, Format, XXL, Floss, Nubuzz Photo. He is an enterprising artist with an edgy technique who shows the harsh cityscape as well as its soft beauty. He has already photographed some famous hip-hop stars. When you meet young talent and energy like that which Andre’ exudes, you know you have met a man with a future in the Arts! Another exciting discovery was three potters who have created beautiful cool-color glazes for pots, bowls and mugs which were on display at the Delaware Center for Horticulture’s Trolley Bazaar. Jerry Jennings was not there as Linda West and Rachel Bevis manned their table, when I dropped by to ask them about their website and where they sold pottery. Surprised at my question, they explained that they were taking a pottery course at the Delaware Art Museum and didn’t sell pottery anywhere. They should be giving some courses! I quickly fetched them a brochure about Delaware by Hand and hope they join so we can all buy their beautiful work. Shall we call them Potters Three? Tre Ceramiche? Pictured below: Rachel Bevis and Linda West. And last, but not least, I paid a visit to the most reluctant artist of them all. John Kurtz decided when he hit 65 that he could pull his paintings out from under sofas and behind bookshelves and display them. Yes, the well-established rug man (JD Kurtz/New Moon Rugs) is really an artist who has studied at the Pennsylvania Academy of Fine Arts, the Accademia di Belle Arti in Florence and served as a combat artist in Viet Nam. I preferred his wilder, satirical works to those which reminded me of fauvists and Eric Hopper. He has neither titles nor prices nor does he want to display or sell any of it. How reluctant can you be? I named one of Kurtz’ paintings which really captured my imagination "The Italian Family". A big father figure in red, a stiff uncle in a suit, the belittled father figure all rounded out by a Madonna figure in a gauzy gown. When I told Kurtz the title I had chosen, he said that people see what they want to see. We will if you let us, Mr. Kurtz! I have been lucky enough to attend a good portion of the Brandywine Baroque’s annual Dumont Concerts two years in a row. These concerts are a weekend-long celebration of harpsichord music, played by noted international performers. The unbelievable musicianship is almost a shock to experience in this beautifully refurbished barn, nestled in Delaware’s pristine countryside. Flintwoods is the only place in the world with two restored harpsichords by Dutch builder, Ioannes Ruckers. There are a total of eight harpsichords in the collection; however, the Dumont instrument, after which the series is named, was being repaired. Moroney and Brandywine Baroque Founder Karen Flint sat down together at the 1635 Rucker harpsichord to play Nicholas Carleton’s Praeludium and a Verse. Only one part of the manuscript survived, so Moroney created his portion, slipping in some interesting educational tidbits for his audience. Though I missed the Saturday lectures, I learned something about the tuning, and why the thirds are tuned according to the key of the piece. It was fascinating to hear a passage sound wonderful on one instrument and almost dementedly sour on another for which it wasn’t intended. Flint did a lovely job with the Pieces in D minor by Elizabeth Jacquet de La Guerre. An expert on de La Guerre, Flint treated us to an interesting biographical background on this exceptional composer. Arthur Haas performed a varied program, beginning with a Prélude by Louis Couperin, the granddaddy of harpsichord composition and scholarship. A portion of his program--pieces by four Italian composers--was performed on the Italian harpsichord, built by Domenicus Pisauriensis. Partite sopra La Monica by Girolamo Frescobaldi simply sparkled on this very “earthy” sounding instrument, which had been tuned with these works in mind. Each note and phrase Haas played was thoughtfully executed, and performed in a joyful, physical way. Also in attendance was John Phillips, a master harpsichord builder and technician, who tuned the instruments before the concerts and during the breaks. The audience enjoyed watching the speed and precision of his craft during pauses in the program.